Our top stories today: Markets poised to rise as Q1 earnings roll on; U.S.-Turkey deadlock over Russia missile dispute continues; and Qualcomm, Apple, drop all litigation. Our top stories today: Next round of corporate earnings; U.S. bank results underwhelm; and the four biggest economies haggle over trade. Our top stories today: Futures take breather ahead of earnings; U.S.-China trade talks near final round; and Draghi takes aim at Trump as he targets Fed. Our weekend preview of upcoming IPOs, earnings reports, conference presentations, investor days, IPO lockup expirations, FDA decisions, Barron's mentions and other key events that could impact stocks. Our top stories today: Get ready for earnings season; strategic energy combination; and Tesla now offering Model 3 leases. Our top stories today: Milestone reached for U.S.-China trade relations; Brexit extended to fright night, time’s up for May? ; and Amazon listening to what you tell Alexa. Our top stories today: Brexit delay at emergency E.U. summit; futures higher ahead of Fed meeting, ECB minutes; and Canada latest to issue tariff rhetoric. Our top stories today: U.S. turns up trade heat on Europe; another cloudy outlook from the IMF; and May, Merkel, Macron. Our top stories today: Pinterest begins marketing for IPO; Wall Street lower, oil hits new highs; and Britain takes leading role in regulating big tech. Our top stories today: Jobs report reveals latest on the economy; trade progress pushes futures higher; and border open now but tariff threat looms. Our top stories today: Preliminary 737 Max crash report released; futures stall as trade talks continue; and Parliament acts to block no-deal Brexit. Our top stories today: Stocks advance as trade talks resume; limiting economic damage if border is closed; and oil continues advance above $60. Our top stories today: Crisis talks held over Brexit deadlock; futures pause after Monday’s rally; and more Boeing planes get grounded. Our top stories today: China factory rebound propels equities; another day, another Brexit vote; border threat looms. Our top stories today: Lyft begins trade after pricing IPO at top of range; equities get boost from trade talks; and stock market’s best quarter in 10 years. Our top stories today: Yield curve, trade talks, GDP; next steps for Brexit unknown; and Lyft set to price its initial public offering. Our top stories today: Boeing, Capitol Hill shine spotlight on 737 MAX; US futures turn lower; and Renault eyes Fiat bid after Nissan merger. Our top stories today: Stocks advance as bond yields edge higher; DOJ moves to strike down entire ACA; and legal health battle against opiod crisis. Futures down on Treasury yield curve inversion; YouTube exits Hollywood as Apple goes into show business; and Sterling slips as May faces possible coup. Our top stories today: E.U. grants a Brexit extension, but not for long; Goldman Sachs cuts May’s deal chances to 50%; and Indonesia cancels Boeing jet order. Our top stories today: Levi Strauss' $6.2B return public; South Korean chip stocks boost KOSPI; and Roche sues former execs over fraud. Our top stories today: Fed dot plot balance sheet in focus; May to request Brexit delay; and investors react to Google’s foray into gaming industry. Our top stories today: Google takes on the video game industry; another positive session for Wall Street; and more calls for social media crackdown. Our top stories today: German bank giants in merger talks; US futures open mixed with potential catalysts ahead; and Fidelity National Information Services to buy payment processor Worldpay. 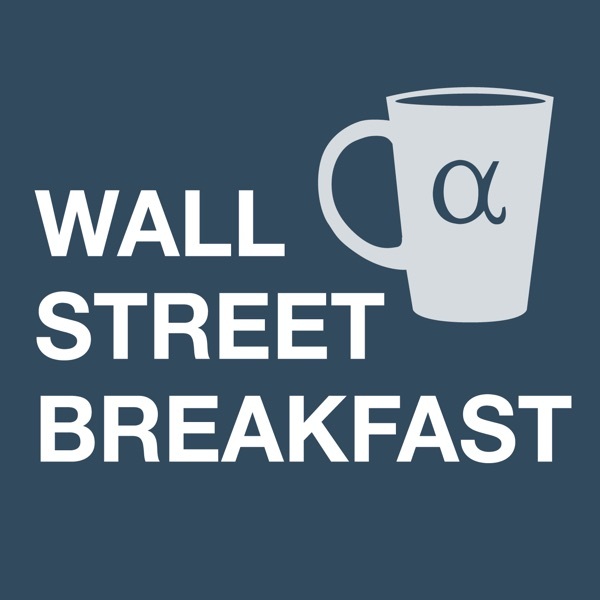 Wall Street Breakfast March 15th: Next Steps In Brexit Saga? Today's top stories: the pound gets a bounce from the latest Brexit twist, the market looks to finish a strong week, and the SEC files suit against Volkswagen. Boeing has decided to temporarily suspend its fleet of 737 MAX planes, not much movement from U.S. stock index futures, and GE leaders lay out their 2019 financial forecast. U.K. lawmakers will vote today on whether Britain should leave the EU, It looks like another mixed session ahead for U.S. indices., and Boeing’s total losses since Monday are at 13%. Our top stories today: Fate of Theresa May’s Brexit deal; tech rally driving global sentiment; and Boeing to deploy software upgrade. Our top stories today: Crash puts spotlight back on Boeing; US futures mixed after worst week of 2019; and Nvidia to acquire Mellanox. Our top stories today: Jobs report reveals latest on the economy; Asian stocks sink on weak China trade data; and FCC pauses T-Mobile/Sprint merger on new data. Our top stories today: Stocks sluggish ahead of ECB; Euro GDP up; and DOJ hosts anti-tech scam summit. Our top stories today: China slashes GDP growth target; Trump moves to curb India/Turkey unfair trade practices; and Barrick/Newmont Mining mull JV talks. Our top stories today: U.S.-China trade deal in sight; Trump says economy doing well despite Fed activity; and top Vale executives resign after mining accident. Our top stories today: Retail earnings week comes to an end; US futures up as S&P nears major inflection point; and big news from Tesla. Our top stories today: Latest GDP reading in focus; South Korean futures and currency down after nuke talks collapse; and Starbucks rival Luckin Coffee setting up for U.S. IPO. Our top stories today: A chance for North Korea’s economy; U.S. futures pointing to losses; and Vietnam companies sign deal with Boeing. Our top stories today: Powell, pharma head to Capitol Hill; Congress to grill drugmakers over high prices; and SEC seeks contempt charge for Musk over tweet. Our top stories today: Monster rally in China after tariffs delayed; U.S.-British regulators move to ensure no Brexit disruption; and Barrick Gold proposes merger with Newmont Mining. Our top stories today: Central bank filled week; Dow up and again shooting for 26,000 milestone; Facebook cracks down on privacy issues. Our top stories today: Dow set to retake perch above 26,000; stocks edge higher after Fed affirms patience on hikes; and Lyft planning roadshow for IPO. Our top stories today: Fed minutes in focus after Powell pivot; Trump says China talks going well; and hedge funds load up on big tech in Q4. Our top stories today: Retail sector watch as Walmart reports earnings; US futures in flux awaiting new details from latest U.S.-China trade talks; and more closures in the retail sector. Our top stories today: Dow looks to reignite winning streak; China data shows export and domestic demand weakening; and Lampert steps down as Sears’ board chair. Our top stories today: Another Brexit drama in the making; U.S.-China trade progress boosts U.S. futures .4% overnight; and Airbus says goodbye to superjumbo jet. Our top stories today: Trade optimism extends equity rally; US national debt tops $22 trillion; and Japan sets up new big tech watchdog. Our top stories today: Stocks boosted by deal to avert shutdown; Market watchers will tune in to Powell speech today; and Senate proposal to discourage company share buybacks. Our top stories today: U.S.-China trade talks resume; Shanghai Composite rises after holiday break; and Netflix takes best film at BAFTA. Trump’s China caution deflates investors on edge over trade; Trump to ban China telecom equipment over cyber threats; and Jeff Bezos accuses National Enquirer of blackmail. Today's Top Stories: Subaru slashes profit guidance; May in Brussels for Brexit talks; and Novartis CEO calls for halt on rebates. Our top stories today: State of the markets; Asian stocks gain post-Trump speech; and Disney delivers top consensus Q1. Our top stories today: Europe stocks rise, U.S. set to open in the green; EU businesses at weakest growth rate since mid-2013; and Alphabet drops after hours in wake of Q4 report. Our top stories today: Markets begin week with subdued start; earnings season hits halfway point; and Sears’ unsecured creditors get their day in court. Our weekend preview of upcoming IPOs, earnings reports, conference presentations, investor days, IPO lockup expirations, FDA decisions, Barron's mentions, and other key events that could impact stocks. Our top stories today: 100 months of job creation; weak Chinese data leading U.S. futures into red; and GE shares spike on Q4 beat. Our top stories today: Earnings season kicks into high gear; Stocks hug flatline post Fed remarks on being patient on any moves; and Samsung warns of weaker earnings. Our top stories today: Markets await Powell, Fed decision; Brexit drama continues; and Apple reports Q4 beat. Wall Street Breakfast January 29: Who's Taking Control Of Brexit? Drama heats up in the House of Commons tonight, U.S. stock index futures inched between small gains and losses overnight, and PG&E is preparing to name its chief restructuring officer. Global shares are starting the week on the back foot, the percentage of actual EPS above estimates (71%) in the S&P500 is equal to the five-year average, and metal prices are in focus this morning after some market-moving news. Our top stories today: Senate looks to break shutdown deadlock; Asian markets gain on U.S.-China talks; and China approves 2 mobile games for Tencent. Our top stories today: All eyes on Draghi’s Eurozone risk outlook; China adds gold to help cut dollar dependence; and Apple self-driving car initiative sheds 200 employees. Our top stories today: Subaru’s two-week shutdown; BoJ holds interest rates steady; and Fed probing Deutsche Bank over money laundering. Our top stories today: U.S. stocks set for losses amid renewed global economic concerns; IMF downgrades global growth forecast; and firms line up to bid on Nestle’s skin health business. Our top stories today: Musk slashes Tesla’s workforce; global stocks climb on potential U.S.-China trade detente; and new Ghosn allegations from Mitsubishi. Our top stories today: Focus returns to earnings season; next round of China trade talks officially on; and United Launch Alliance announces final design review for flagship rocket. Our top stories today: Vote of confidence and Brexit’s next steps; U.K. inflation sinks to lowest level in 2 years; and Lampert prevails in Sears' bankruptcy auction. Our top stories today: Historic vote for Brexit future; stocks boosted on China stimulus measures announcement; and bank earnings get into full swing today. Our top stories today: China data adds pressure to trade deal; shutdown the longest in U.S. history; and Newmont Mining acquires Goldcorp. Our top stories today: Volkswagon looks for auto sales crown; US futures mixed post-Powell speech; and Japan indicts Ghosn for a second time. Our top stories today: Big day for Fedspeak; US futures point to first loss in five sessions; and Sears Chairman Eddie Lampert submits revised $5 billion dollar takeover bid. Our top stories today: Government shutdown enters day 19; shutdown put US sovereign credit rating on watch; and Apple’s Cook optimistic about the tech giant’s future. Our top stories today: US-China wrap up trade meeting; Trump to address nation about border wall; and CES showcases state of the art new tech. Our top stories today: Asian markets gain on trade talk optimism; trade talks with China begin; and Nvidia launches lower-priced graphics card. Our top stories today: Jobs report and Powell speech; market rebound on US/China trade talks announcement; and Apple shares have plunged 39.1 percent since October. Our top stories today: Apple warning rattles Wall Street; Asian flash-crash overnight; and Apple suppliers have a rough day. Our top stories today: Stocks skid into 2019 with slowdown fears; Trump/Democrats at an impasse over border wall funding; and drugmakers hike prices to kick-off 2019. Our top stories today: 2018 comes to a close; U.S. futures rallying; and Austria to levy big tech taxes. Today's Top Stories: The market rollercoaster rides on, the US government shutdown continues, and the bell tolls for Sears. Wall Street Breakfast December 27: Jingle All The Way? Wednesday marked the biggest post-Christmas rally for U.S. stocks ever, a U.S. trade team will travel to Beijing to hold talks with Chinese officials, and India will ban e-commerce companies from selling products in which they have an equity interest. Traders returning from the holiday are sending U.S. futures higher, gold climbs to a six-month high, and Amazon customers made this holiday season record-breaking with more items ordered worldwide than ever before. Following the worst week for stocks since the financial crisis, U.S. stock index futures are getting a little bounce, President Trump’s White House advisers are discussing arranging a meeting between him and Fed Chairman Jay Powell in the coming weeks, and marking its first national security space mission for the U.S. military, a SpaceX rocket blasted off from Florida's Cape Canaveral on Sunday. Our top stories today: Shut down fears add to market turmoil; Spain hikes minimum wage 22 percent; and Facebook is working on a cryptocurrency. Wall Street Breakfast December 20: Did Powell Poke The Bear? Our top stories today: Did Jerome Powell poke the bear; Sweden hikes interest rates for first time in 7 years; and Tokyo court rejects request to extend Ghosn’s detention. Our top stories today: One rate hike over the line; Italy reaches informal agreement with EU over budget plan; and Softbank plunges in IPO debut. Our top stories today: Bruised stocks look to Fed for relief; oil tumbles 4 percent overnight; and Qualcomm accuses Apple of violating China court order. Our top stories today: ABB power deal; budget battles continue in Congress; and Obamacare headed for higher court review.